Pay With Mobile! 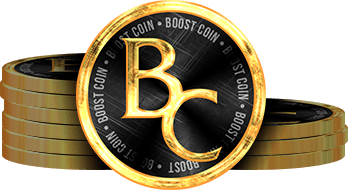 Boost Coin Is Here! We are introducing this new virtual currency for the clients who are planning to use our services by paying with their mobile phone. Buying an ELO boost has never been safer and easier. All you have to do, is to use your mobile phone to buy Boost Coins in order to load your coin balance and then use the coins to buy the ELO boost of your dream. The first step of getting an ELO boost by using only your mobile phone, is to buy Boost Coins. All you have to do, is to select the Mobiamo Mobile Payment option from the listed payment methods, in order to buy the amount of Boost Coins of your need. The reason why you need to use this virtual currency to purchase the ELO boost of your desire, is that each of our ELO boost services have different prices. By using sms mobile payments, the price points are fixed and you are only able to buy products or services for fixed prices, for example 5 or 10 Euros. By introducing Boost Coins, you are able to load your coin balance, which you can use to buy the ELO boost services. It works the same way, as buying Riot points in LoL. The 3 steps are the following: 1. You enter your mobile phone number. 2. You receive a text message with a code. 3. You enter the code to finalise your purchase. You can buy Boost Coins not only with your mobile phone, but you can use your credit card, Paysafecard or Paypal to do so. This makes it possible for you to combine payment methods and create a Boost Coin balance which can be funded many different ways. This will help you to fund your ELO boosts in a very customizable way. When you have funded your Boost Coin balance you are ready to select and buy the ELO boost of your need. All you have to do, is to choose the type of ELO boost service you want to participate in, and select the details of the boost. At checkout, you will be needed to give your basic information, in order to choose payment method. To pay with Boost Coins, all you have to do, is to select this payment option from the listed methods.